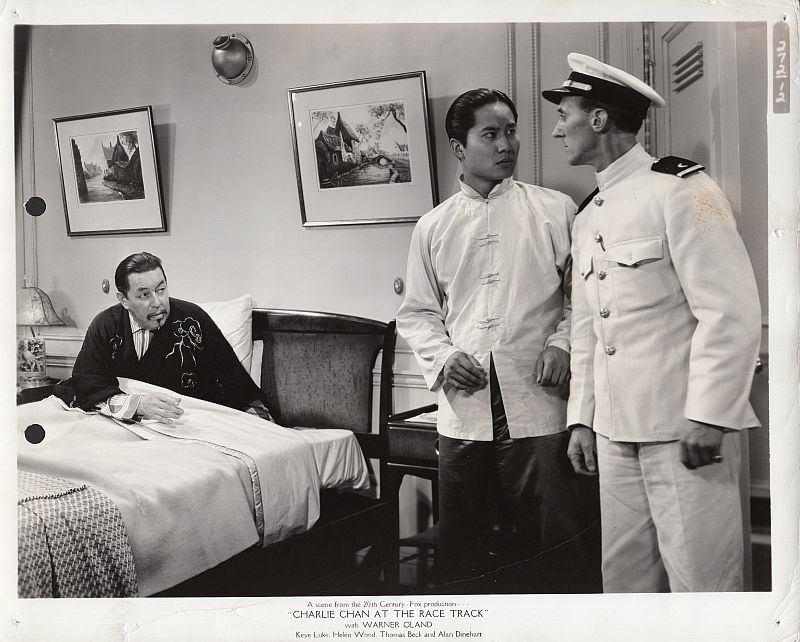 son, Lee, who is posing as a cabin boy, from his cabin. 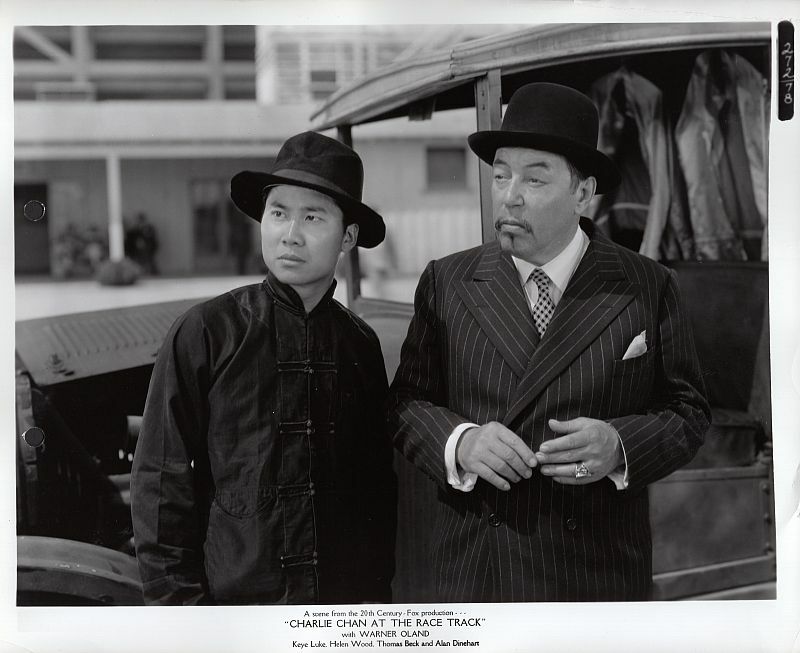 Charlie Chan meets a number of those involved in the horse racing game. 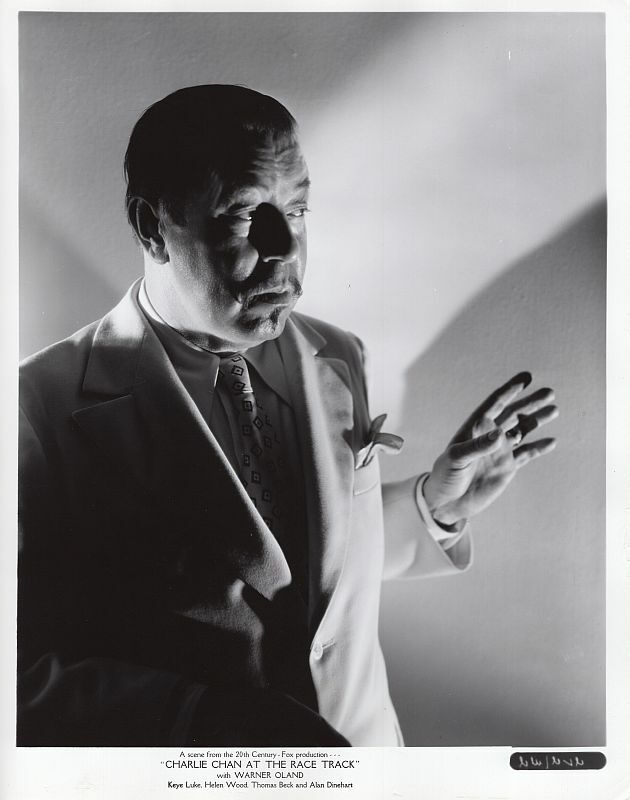 Lee meets with Alice Fenton. 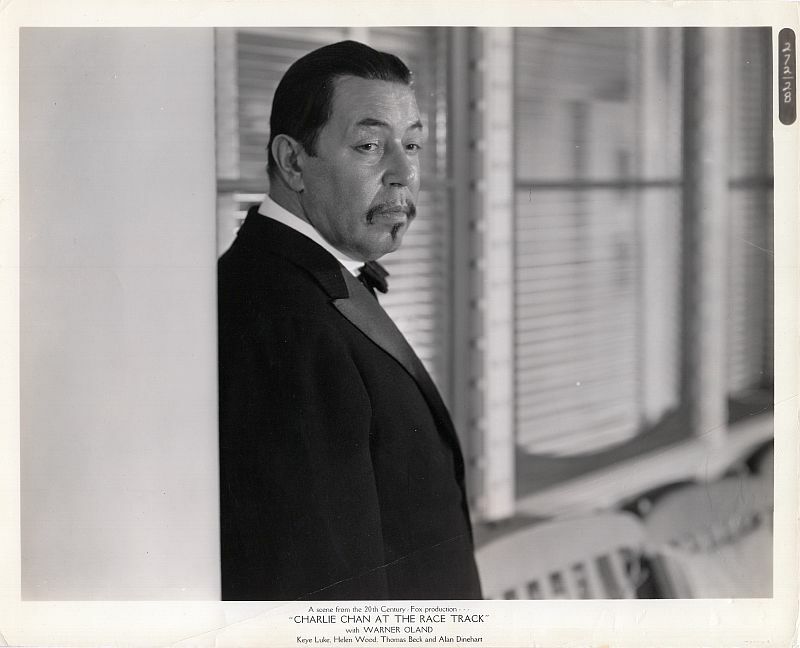 On the deck of the Oceanic en route to Los Angeles, Charlie Chan listens in on a conversation. 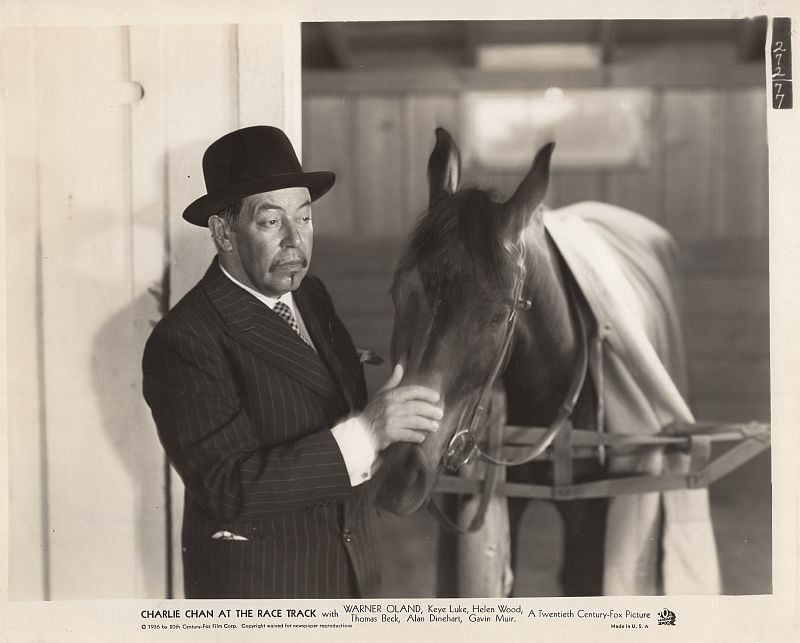 activity as the race horses are unloaded at the Port of Los Angeles. 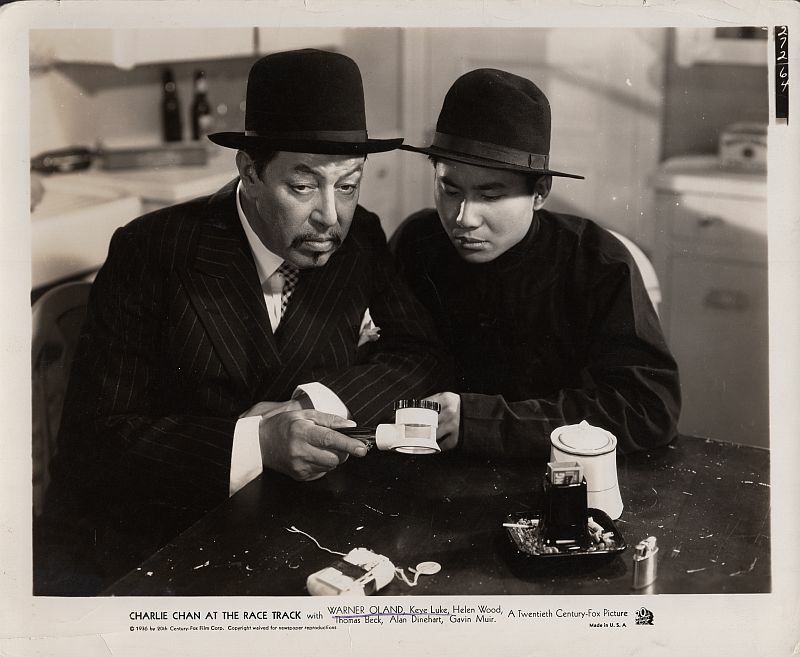 Charlie Chan and son, Lee, at the gambling ring headquarters. 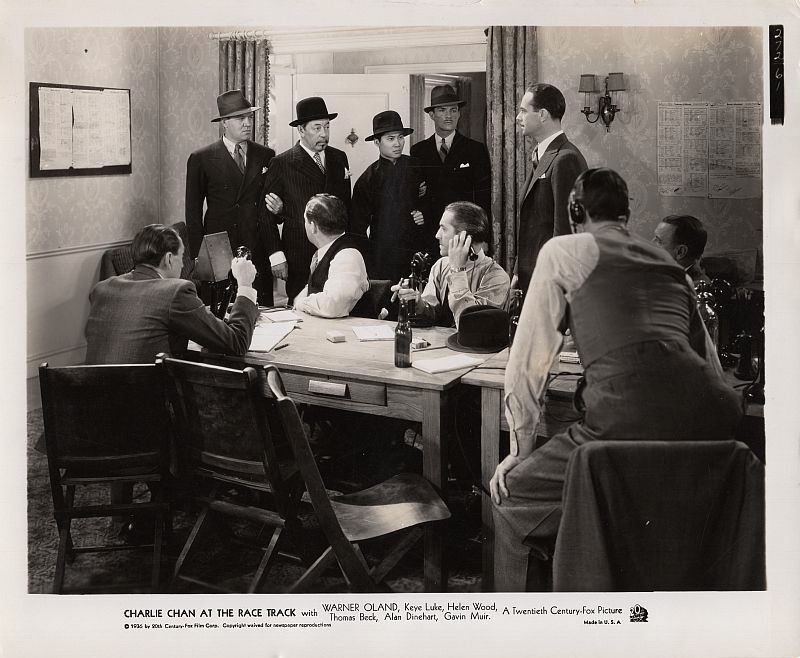 The Chans are held captive at the gambling ring's headquarters as cross-country "fixed" bets are being made. 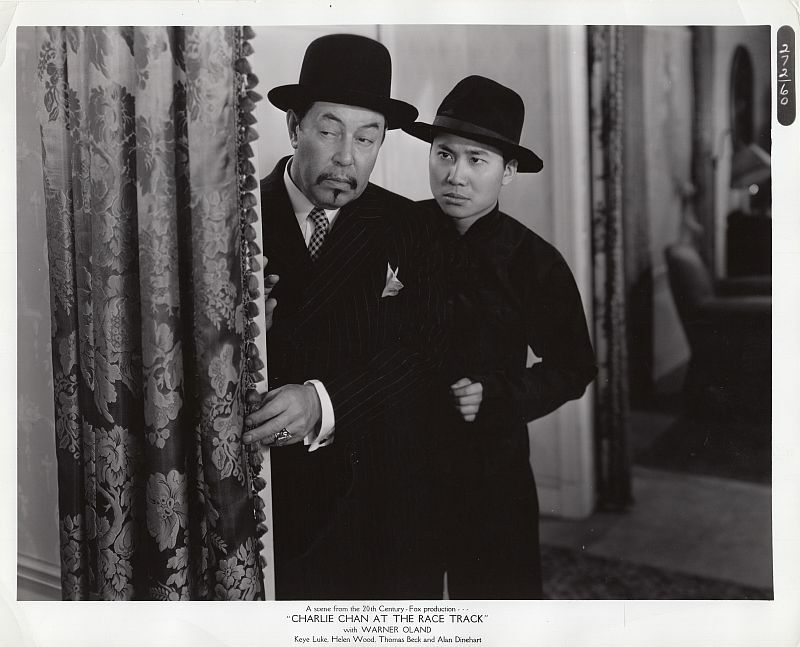 Held captive by the gambling ring, Charlie Chan and Number One Son, Lee, in disguise, ponder their situation. 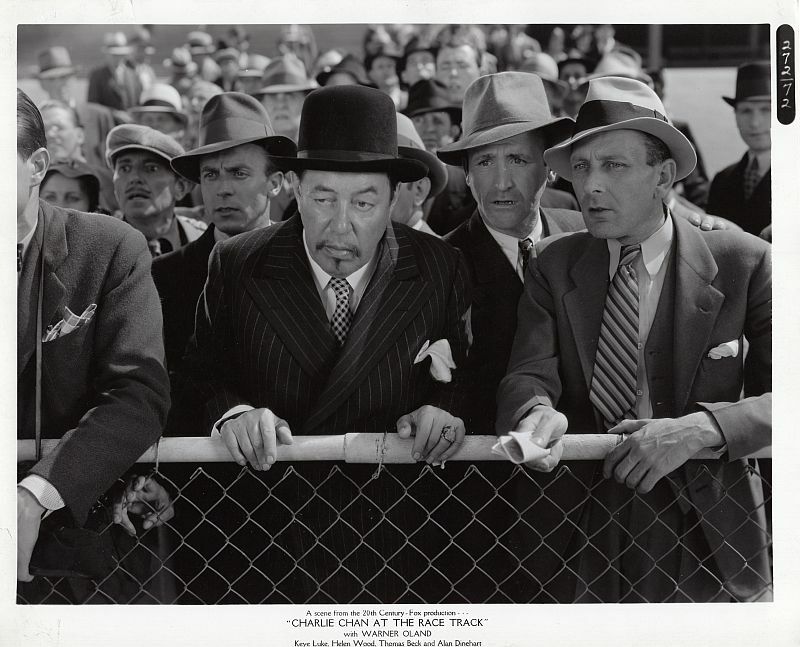 Charlie Chan, trackside at Santa Juanita just before the start of the big race. 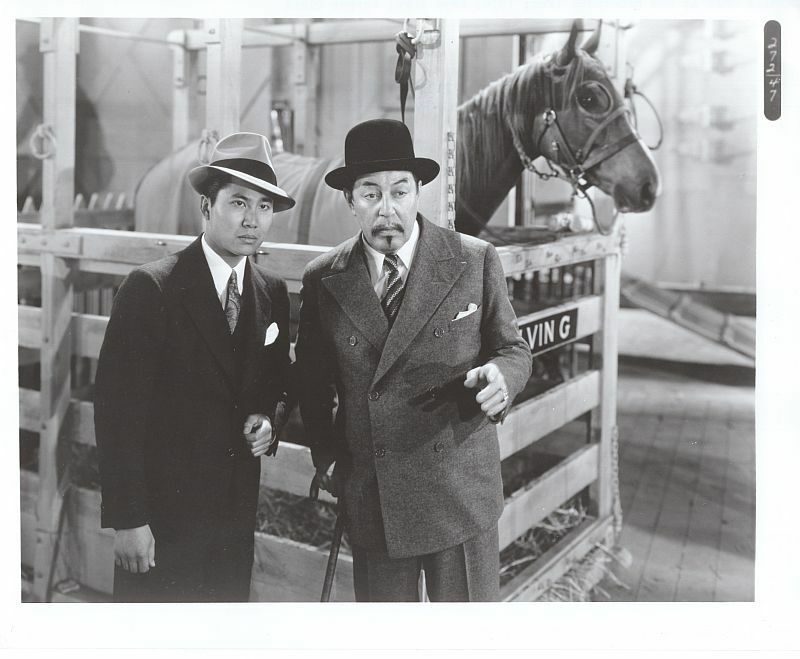 At the stables, Charlie Chan makes a "correction" just before the big race. 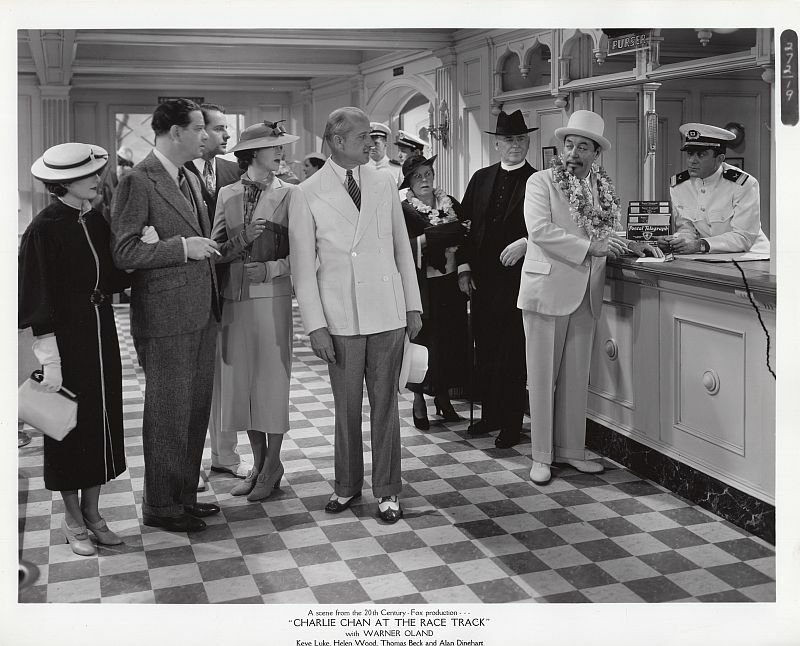 Pop gives him quick instructions just before the race. 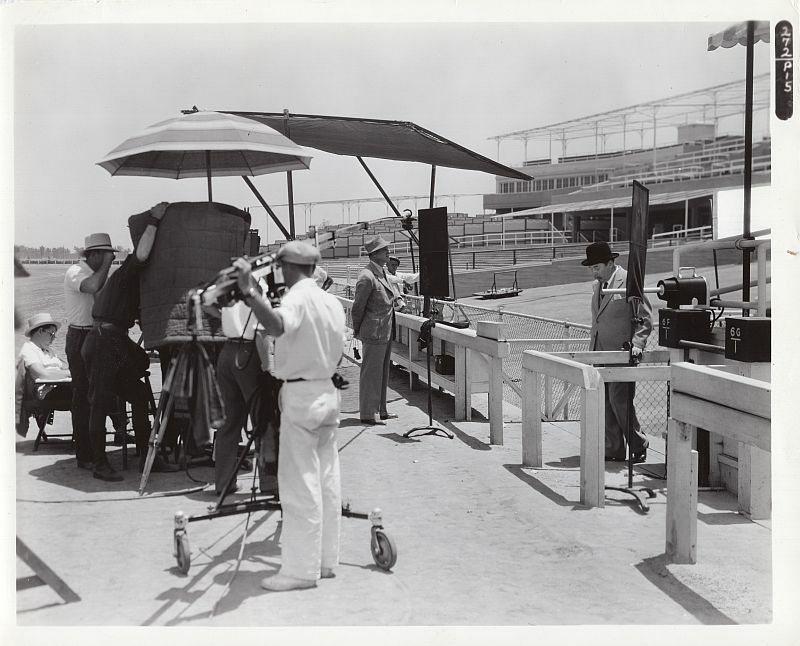 On location at Santa Anita, the film crew prepares to shoot a trackside scene with Warner Oland.